We all know Santa Fe has beautiful sunsets, amazing shopping and the best restaurants around. Did you know that the music scene is thriving as well? On any given night you can hear the sweet sounds of music coming from art galleries and restaurants, the Bandstand on the Plaza, the Santa Fe Opera, and even from top of the hill at St. John’s College. 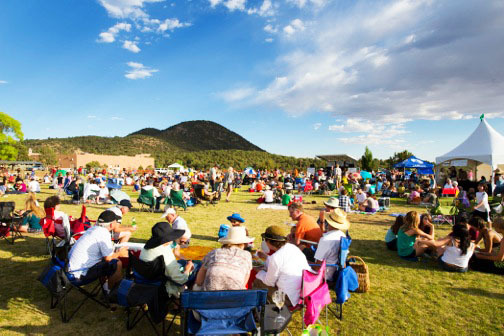 These signature Santa Fe summer music scenes are part of what make Santa Fe so magical. When you join us at one of our properties during your vacation in Santa Fe, you’ll enjoy walking out your front door and being serenaded all day long. 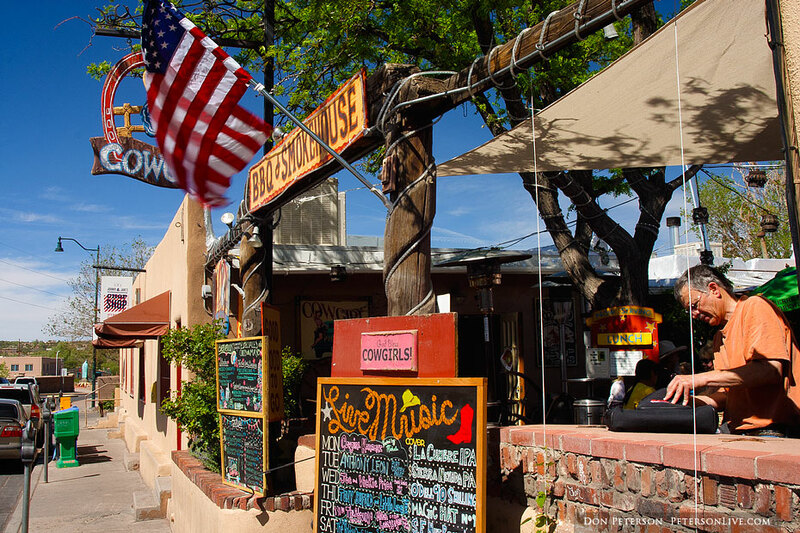 Come and explore the ‘Heartbeat’ of Santa Fe! Starting June 23rd the Plaza transforms into a concert venue offering 100 FREE performances from the heart of Santa Fe! Take a look at the event schedule, here! This concert series, sponsored by St. John’s College, is a popular summer event. In their ninth season, every Wednesday evening take a quick drive up to the College (a shuttle is available) and be entertained with soothing sounds and stunning sunsets. For more information, click here. 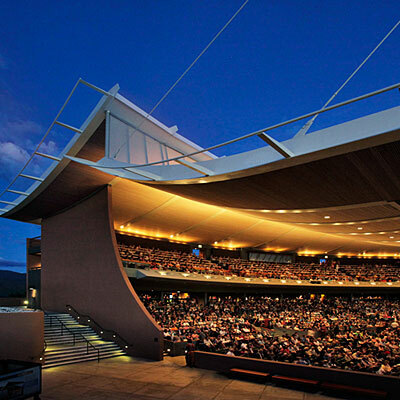 Opening June 27th the 2014 Festival Season at the Santa Fe Opera is not to be missed while visiting Santa Fe. The season boasts Carmen, Don Pasquale, Fidelio, Double Bill, Dr. Sun Yat-Sen and the Apprentice Scenes. For the calendar and to purchase tickets, click here. Come from the food and stay for the entertainment! 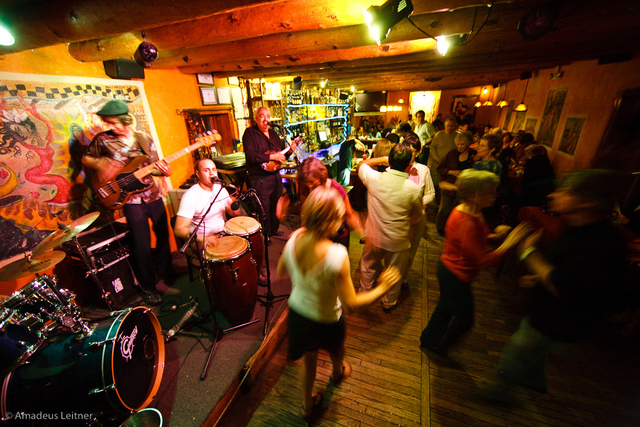 El Farol offers the best tapas in Santa Fe, and has live music every night of the week, including the famous Flamenco Dinners. In the hipster Guadalupe district, the Cowgirl, a New Mexico-meets-Texas BBQ joint, has been a Santa Fe standby for a long time with good reason, known for its excellent food and strong tasty margaritas. It is a fun place for all ages thanks to the great playground, wacky western-style feminist flair, huge patio and live music on the inside stage after 9pm. 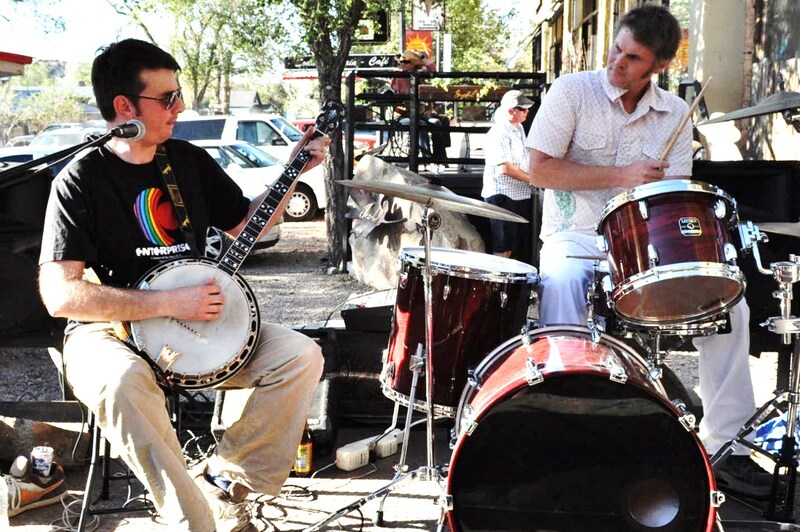 The second outpost of Santa Fe’s second most famous craft brewery does some of the town’s best pub grub in a happening Railyard district with plenty of indoor and outdoor seating, and a lively music scene. This entry was posted in Uncategorized and tagged Cowgirl BBQ, Cowgirl BBQ Santa Fe, El Farol Music, El Farol Santa Fe, Music in Santa Fe, Music in the Plaza Santa Fe, music on the hill, Music on the Hill Santa Fe, Railyard Santa Fe, Santa Fe Bandstand, Santa Fe Music Scene, santa fe opera, Second Street Brewery Music Santa Fe, st. john's college, St. John's College Music on the Hill. Bookmark the permalink.